Rosemary is an herb with a distinctly woody taste and fragrant evergreen needle-like leaves that can deliciously transform our food. 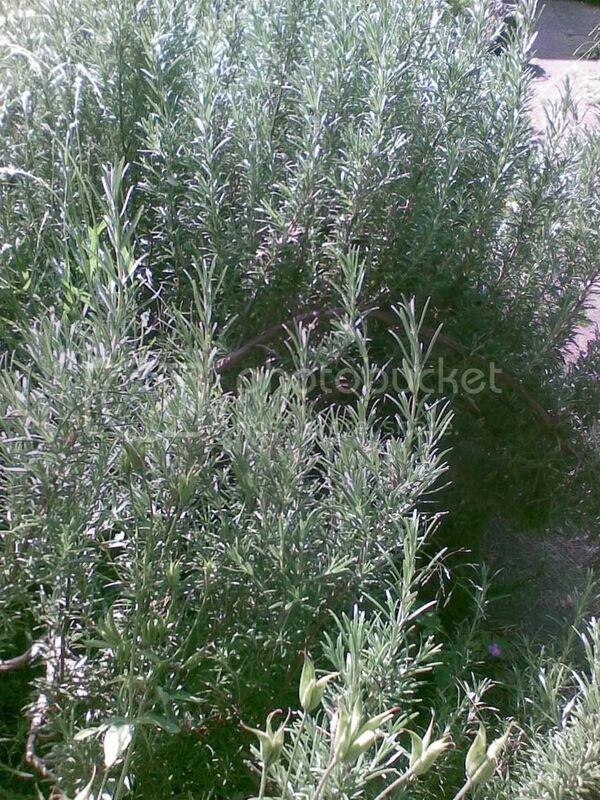 In addition to its food enhancing properties, rosemary is a potent brain protector. Ancient Greeks believed it profoundly improved memory. Greek students used to wear a wreath while sitting examinations for potent brain power. Researchers led by Dr. Stuart Lipton of Burnham Institute in La Jolla, CA, and Dr. Tak**i Satoh of Iwate University, Japan, say rosemary contains fights off free radical damage in the brain. The active ingredient, known as carnosic acid, can protect the brain from stroke and degeneration due to free radical damage that not only contribute to stroke andneurodegenerative conditions such as Alzheimer¢s, but also to the ill effects of normal aging on the brain. Rosemary is one of my favorite bushes in the garden. I use it's branches to make flower arrangements as you can see from the photo. In the winter when everything seems so bleak and bare, I continually cut rosemary branches for my kitchen table and they bloom beautiful purple flowers. Matter of fact, the bush seems to bloom best when I cut branches. Rosemary essential oilcan be purchased to make skin conditioners and it's especially good for circulation which means it can be used in shampoos to guard against hair loss and also on the joints and extremities for better circulation. Essential oils should be used in a carrier oil. I like the properties of this massage oil best. With no chemicals it makes a wonderful totally natural moisturizer for use anywhere on the body.